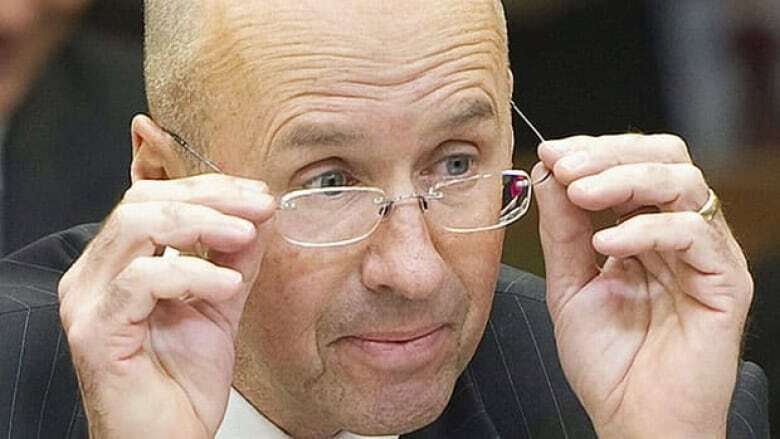 Parliamentary Budget Officer Kevin Page says the cost of elderly benefit programs are affordable in the long term and won't affect Canada's fiscal sustainability. Canada can ride out the wave of retiring baby boomers and their cost to the Old Age Security program with room to spare, a new report by Parliament's budget watchdog released Wednesday suggests. The income support program is sustainable and affordable given the federal government's projected revenues and economic growth, Parliamentary Budget Officer Kevin Page said. In a report on fiscal sustainability and elderly benefits, Page revised some of his earlier predictions based on the government's announcement late last year that the Canada Health Transfer would be tied to GDP after 2016-17. Benefits for Canada's older population, including the monthly OAS cheques, are financed out of general revenues, and the policy move on the CHT therefore drastically changed the parliamentary budget officer's predictions about the government's fiscal sustainability. Page had earlier raised concerns about sustainability, but his new debt-to-GDP projections show that not only is OAS sustainable, but the government could even increase the amount it spends on it. To be considered fiscally sustainable, Canada's debt cannot grow faster than the economy. Opposition parties seized on the OAS issue during question period and said Page's findings show, contrary to what the government has been saying, that there is no coming OAS crisis because of the aging population. Human Resources Minister Diane Finley was pounded with questions about the government's plans for OAS, but she refused to answer whether the age of eligibility for the benefit will be raised beyond the current age of 65. "What our government is doing is preventing a crisis, the kind of crisis that we've seen hit in Europe," she said. "We've got to make changes. We're going to do it responsibly and gradually," she said, without specifying what changes are being contemplated. "We know there's a coming crisis, that's in Old Age Security, that's why we're taking steps now before it's too late because we do not want to burden future generations with massive, massive tax increases to support OAS," said Finley. Interim Liberal Leader Bob Rae said Page's report shows the OAS program is sustainable and the only thing putting it at risk is the government. The NDP's finance critic Peter Julian said Page's report shows the government has no justification to change OAS. "They're trying to create an artificial crisis when the figures clearly show the pension system is sustainable. I think the government lacks credibility," he said. But Finance Minister Jim Flaherty cast doubt on Page, calling him "unbelievable, unreliable, incredible" because he put out a report last year saying Canada's fiscal sustainability was at risk and his new report says the opposite. Page revised his projections because of the government's health funding announcement. Old Age Security suddenly became a hot topic on Parliament Hill after Prime Minister Stephen Harper suggested in a speech in Davos, Switzerland, in late January that changes to the retirement income system are on their way. He did not mention OAS specifically, but his office quickly supplied estimations of how much OAS will cost in the years ahead, and Harper and his cabinet have been talking ever since about ensuring that income support programs are sustainable in the future. Read comment highlights and take our poll: Do you trust that OAS is sustainable? OAS provides a monthly cheque to Canadians, 65 years of age or older, and the amount of the payment is adjusted every three months to account for increases in the cost of living according to the consumer price index. The average monthly amount was $508.35 in the last quarter of 2011. The amount of the cheque is also clawed back for people earning a higher income; in 2011, the level was set at $67,668. According to a federal government report from last June, the number of recipients of OAS is expected to almost double over the next 20 years — 4.7 million in 2010 to 9.3 million by 2030, mainly due to the retirement of the baby boom generation over that period. Costs for the program are expected to rise 32 per cent over the next five years, from $36.3 billion in 2010 to $48.3 billion in 2015 and to $108 billion by 2030. Relative to the size of the economy, Page estimates that the cost of OAS and other elderly benefits together will increase from 2.2 per cent of GDP in 2010-11 to a peak of 3.0 per cent of GDP in 2031-32. Then the cost will slide to 1.8 per cent of GDP by 2080. His report says that with the new plan for the health transfers, Canada's fiscal framework is sustainable "even under the baseline assumption that there is some additional enrichment to elderly benefit payments." If the government doesn't enrich the payments and keeps it only tied to CPI, Canada can pay off debt even faster, Page said. Page's fiscal sustainability projects don't take into account the budget cuts that are going to be announced in the upcoming 2012 federal budget. The picture could change again depending on future policy decisions of the government. The government is saying no cuts to OAS will be in the upcoming budget and that whatever changes are made, they will not affect current retirees or those "nearing retirement." But the government has not indicated what changes are being contemplated or when it would implement them. The opposition parties have been trying to get answers out of the government and have been demanding that it be clearer on its plans. The NDP used its opposition day in the House of Commons last week to table a non-binding motion that called on MPs to reject "calls by the prime minister to balance the Conservative deficit on the backs of Canada's seniors by means such as raising the age of eligibility for Old Age Security and calls on the government to make the reduction and eventual elimination of seniors' poverty a cornerstone of the next budget." The motion was defeated during a vote on Monday, 147 to 127. The NDP now is launching a Canada-wide tour to draw attention to the OAS issue. Its aim is to "build opposition to Conservative threats to roll back Old Age Security" and to promote the NDP's own ideas on retirement security.